Our mission is simple: to provide the best products and service to our customers at the lowest prices possible. We take great pride in our company, our commitment to customer service and in the products we sell. Our online store is designed to provide you with a safe and secure environment to browse our product catalog using the latest in SSL encryption technology. 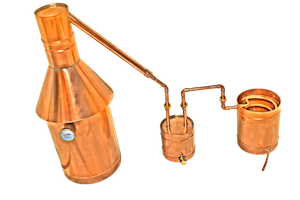 The Distillery Network Inc. entered the distillation market because of its passion to offer individual home owners a valuable tool that, until only recently, was a very expensive hobby. With TDNs Assembly experience, we are able to manufacture our units in mass quantities, therefore, reducing costs and in turn passing the savings on to our customers. We firmly believe that everyone in the world should own a distillation unit for their houses, and now, potential customers can be offered a distillation unit that is not only affordable, but backed by a lifetime warranty. This just shows our level of commitment to making sure everyone in the world has a fair chance to purchase a unit before they actually need it. We always have, and always will continue to give our customers the highest levels of customer service and the strongest products in the industry. Thank you for taking the time to read our "About Us" section and we look forward to doing business with you.